Nami is a kiiten ( was born around 2011 July) who was rescued by AnimalsTaiwan,she is now at our rescue center looking for home. Vivi is a 1 month old kiiten who was rescued by AnimalsTaiwan,she is now at our rescue center looking for home. 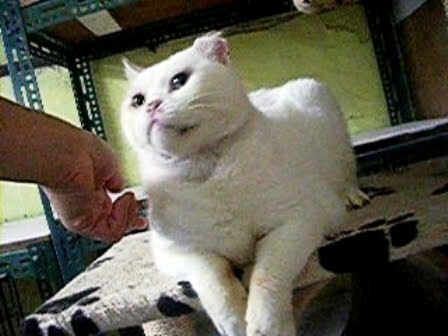 Casper ,white Persian is looking for a loving home. 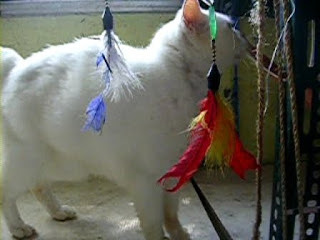 Casper : boy, was born 2006, good personality, healthy. As in true Taiwanese style the weather is continuing to be hot! Hot! Hot! But this isn’t slowing us down. Usually during the summer months adoptions slow down as people are away on vacation and prefer to wait until they are back and settled to make decisions on adopting, but we have had a success month of adoptions and with the new arrival of Mary on our adoption team we hope for even more good news as the months continue. 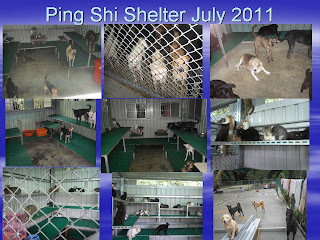 During June we were informed about a shelter run by an older lady in the Ping Shi mountains. This lady has over 150 dogs and over 50 cats. We went to take a look around and see how we could help her. She has a good set up in the mountains, it’s clean and she takes good care of the dogs which are all vaccinated, chipped and spayed or neutered. However, we are concerned about the cats. Many of the cats were supposed to be TNR cats, but this lady didn’t have the heart to release them. Now on first impressions of this you would think that this is a good thing for the cats. However, many of these cats are feral and don’t like to be kept in cages with other cats. They have lived their lives in the wild and much prefer it this way. Also the lady keep all the cats in large pens, again which sounds good, but this increases the chance of the spread of disease and of fighting. Because none of the cats were tested before being put into the main population, many of them have various diseases and they are spreading. 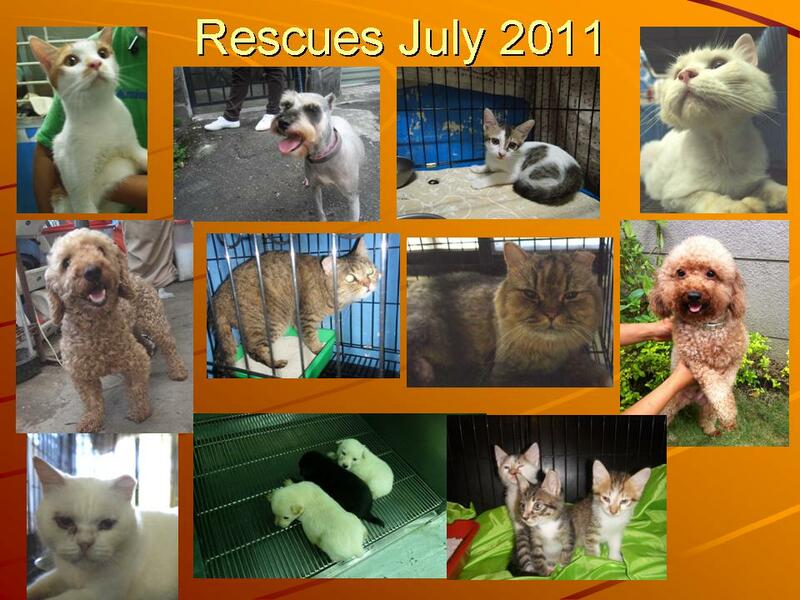 We have already taken out 5 cats, two of which have FIV and one schnauzer. We are helping advertise a few of the other more adoptable dogs as well. We have decided to continue to work with this lady and help her as much as possible, with food, education and of course adoption. It is a strain on our financial position but we can’t turn our backs on these animals. Once we have animals going out of the centre we will go and collect animals from her whether it be cats or dogs. 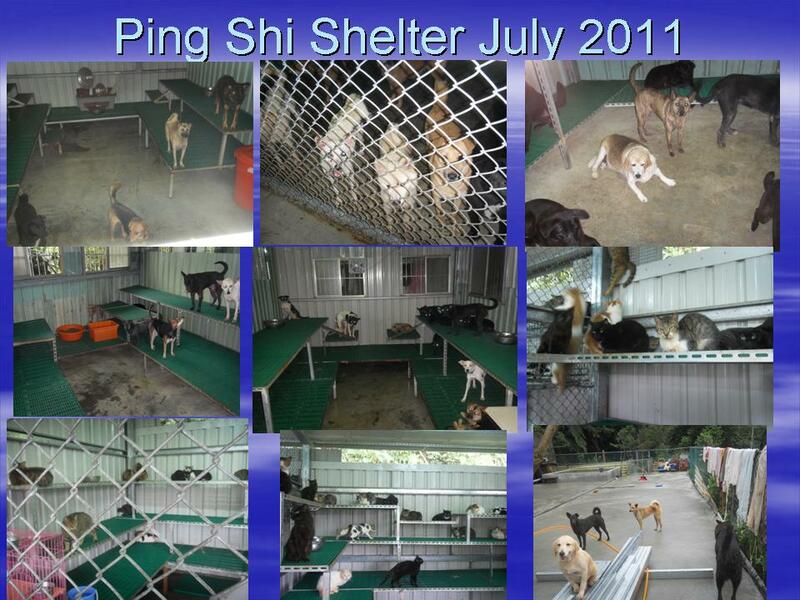 All will be tested first and then assessed for adoption. While completing the CNR project in the Hsin Tien mountains we came across a female dog with 3 puppies. Once we caught the mother we decided to take her and her puppies to the centre. The mother was spayed and then stayed at the centre for 3 weeks while the puppies where being weaned. The mother wasn’t comfortable at the centre so we decided to release her back to her Aixian mama in the mountains. However, we kept the puppies. The three puppies are doing well and are playful and healthy. One of the puppies has already been adopted and we hope the other two will soon follow to happy loving homes. We named them Rome, Naples and Florence. Also in the same mountain area while doing CNR we noticed a male Red Poodle. He let us catch him and we noticed how malnourished he was and covered from head to toe with ticks. We immediately got him medical attention and tested. He tested negative and was deemed to be healthy. However, the poor boy only had one ball, which was removed, but in the future we have to watch for any problems. He’s been named Ronald and he’s up for adoption. He’ll need a patient family as he has food protection issues from living outside for so long. A friend of Animals Taiwan called us up about 3 kittens dumped in a box by the riverside. She was very concerned about them and normally would have taken them in and fostered them. However, she was leaving for Canada in a few days and wouldn’t be back for 2 months. So we decided to take in the two month old kittens. All are healthy and very playful. We named them Twinkle, Clint and Eastwood (we were watching a Clint Eastwood movie ;-) All have been successfully adopted. Another Red Poodle this time female was seen wandering the streets, she was taken in to be fostered and very quickly found a new loving home. Another kitten was rescued after getting stuck in a building. We couldn’t find her mother of any of her siblings. We named her Angel and she’s very sweet and shy. She is at the centre waiting for that loving home. Nono was taken from the Ping Shi shelter. She’s a female Schauzer and very calm and loving. We knew she’d find a home quickly if she was in a place where people could visit her. She was snapped up in 7 days. Suri, Darius, Bibi, Casper and Danish are the 5 cats we took from the Ping Shi shelter. Four of them are Persian cats and all of them are loving and friendly and just need the chance to been seen. Unfortunately Suri and Darius have FIV. This is not too much of a problem for adoption as long as the new family doesn’t have other cats. We hope these loving cats can finally have the special care and attention they deserve. A black Shiba Inu was found by a pet store with serious skin problems. She was taken to the vets for a check up and a chip scan and we were happy when we found a chip. However, the chip was never registered which means we have no way of finding the owners. We have put up lost and found posters and posted on lost and found websites. We’ll wait a couple of weeks to see if anyone comes forward, if not then She’ll be up for adoption and we hope she can finally be in a loving home. 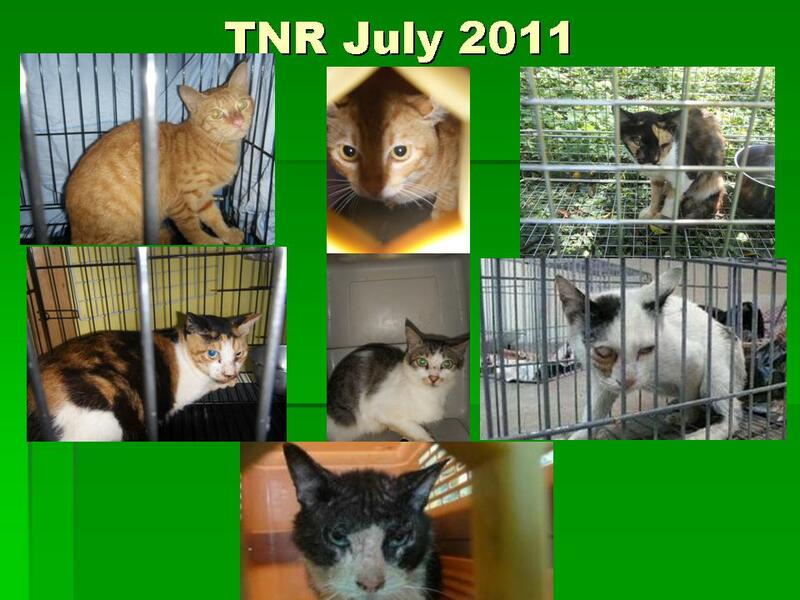 We are having continued success with our TNR program in the Taipei area. The volunteers are working hard to catch the cats and once they are spayed or neutered safely return them to their feeding stations. 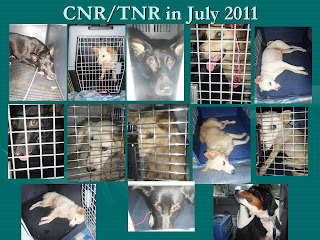 We have nearly completed the CNR program in both Hsin Tien areas. 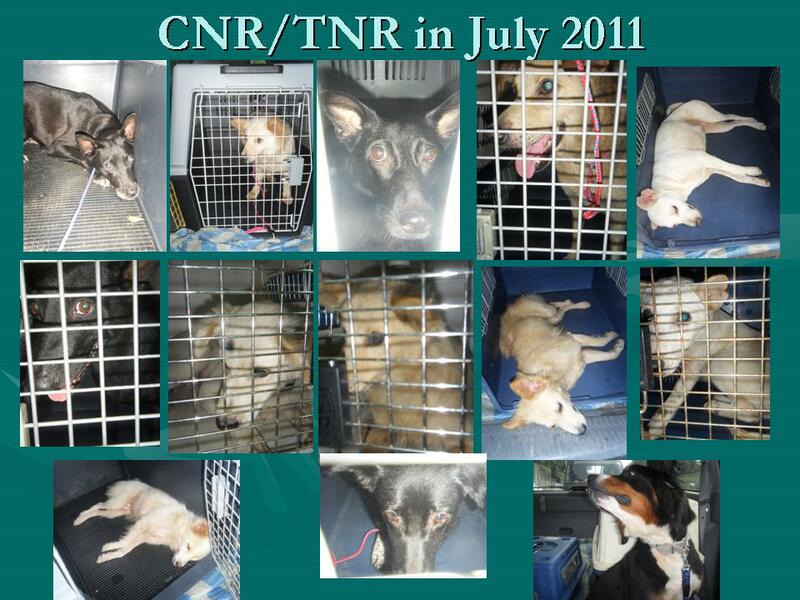 During July we caught over 20 dogs of which more than 15 were female. All have been released back and are doing well. We still have a couple more females and males to catch in these areas. 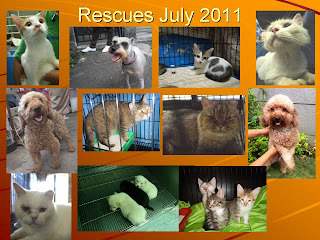 However, because now the free clinic is closed we are in desperate need of funding for the spay and neuter operations. We want to continue and make sure the areas are 100% and we can only do this with funding. While trying to catch the dogs in the Hsin Tien area, we have accidentally caught 4 cats which have gone into our dog traps. We have taken these cats for spay and neutering and they have also been safely returned. However, one was deemed too sick to be spayed and is staying with us until she is recovered. 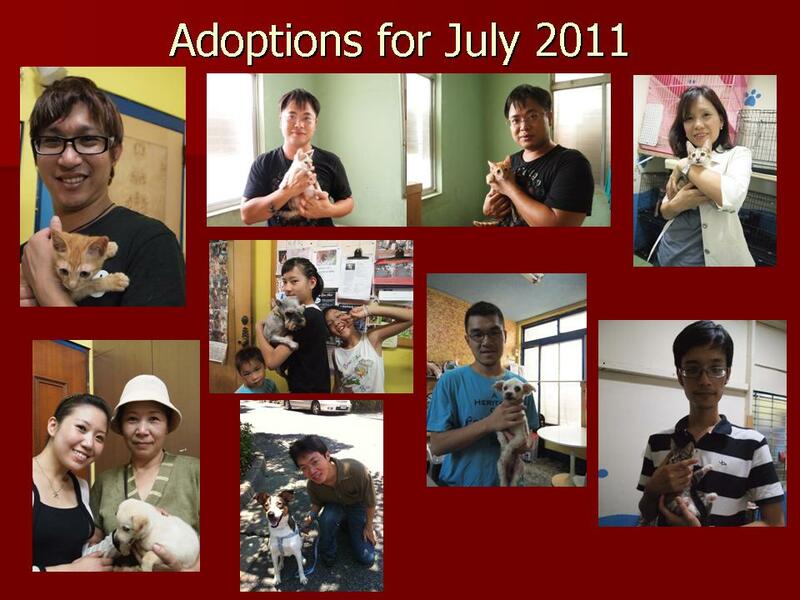 There has been a total of nine adoption/tryouts this month and we’re very excited and pleased about everyone of them. All three kittens found by the river have been adopted into different loving homes. We know they will give their new owners much joy and love. Sunny the shy little ginger kitten was adopted together with Clint so she’ll have a brother to show her the ropes on being a playful kitten. Jackbean was actually the first to go out, our brave, talkative little ginger male. He’s happily letting his new owner know how much he loves him. Florence one of the rescued puppies from the mountains where we are doing CNR was also quickly adopted out. We have our fingers crossed that her two brothers will also be quickly adopted. We are so happy that our little Yatou the elderly Maltese has also gone to a loving home and we have had reports from her new mom that she’s doing wonderfully. Don’t forget our WAD Gala Ball is coming up fast so get your tickets now. Check out our webpage for more details on the Gala Ball and all the great prizes you could win. Also if you are a business and would like to support our Gala ball please contact us with how you would like to support us and your logo. Come and check out our facebook page to keep updated on regular adoptions, events and much more.